Sutil takes the lead at Force India, while Grosjean pegs some points back on Kimi. How did the Team Mate Battles play out in Belgium? These are the rules to which the drivers are being judged. 5 points are awarded to the driver who performs best on raceday. Marussia had the time of their lives on Saturday, with both drivers making it through into Q1, having both been brave enough to stay out on dry tyres during Q1. As usual, it was Bianchi ahead of Chilton, but there wasn’t a huge gap between them, just 0.2 seconds at the end of Q2, when both were inevitably knocked out. 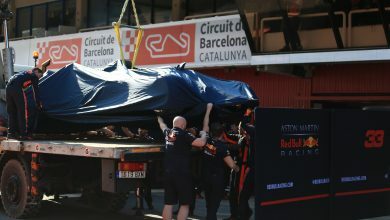 One of the shock qualifying results of the season, considering that the Williams and Toro Rossos qualified behind them. 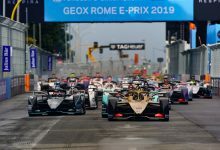 In the race, it was nothing to write home about, with the duo coming home as the last two finishers, although it was hardly surprising, considering one of the Caterhams retired. They had gambled on a wet race, which didn’t come, and so the end result was hardly surprising. Kudos to Max Chilton for being there or thereabouts with Jules throughout the weekend. Caterham had the potential to become heroes on Saturday, if the expected rain had fallen more heavily at the end of Q1. As it was, Van Der Garde went an unbelievable third fastest in Q1, before ending up a very creditable 14th, knocking out some drivers in faster cars. 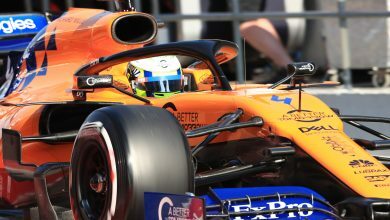 During the race, the Dutchman didn’t get involved in battling the faster cars, and focussed on beating the Marussias and his team-mate, his more realistic opponents. A very grounded performance, particularly since his slightly more experienced team-mate had a bit of a shocker. Pic was slowest overall in Q1, trailing the rest of the field by a massive 3 seconds. While he got ahead of the Marussias early on in the race, he remained behind his team-mate, and then had to retire due to an oil leak. A clean sweep for Van Der Garde this weekend. A disastrous qualifying for both Toro Rosso drivers, both being eliminated in Q1, but with Vergne ahead of Ricciardo. 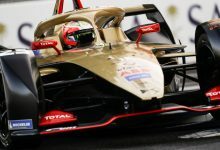 Vergne’s qualifying record against his team mate hasn’t been fantastic recently, so that is the only comfort that the Frenchman may have taken away from qualifying. On Sunday, both drivers set about making amends for their poor Saturday display, with both drivers jumping two positions at the start. Ricciardo ran a longer stint on his first set of tyres, while Vergne found himself back in 19th again, making a somewhat earlier stop. 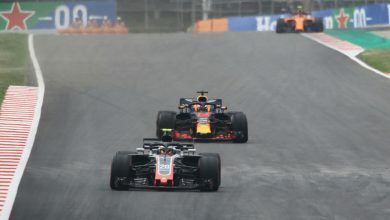 Towards race end, after the strategies played out, Vergne was ahead of Ricciardo but had a slow puncture which pushed him back into the clutches of the Australian. 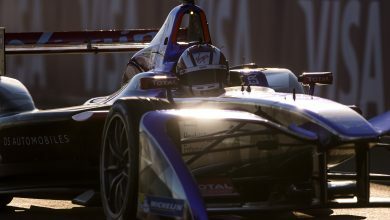 Vergne wound up in 12th position, while Ricciardo stole the final point on Lap 41. Both drivers put in a similar performance, with Vergne possibly being the unluckier of the two. Half points awarded for each driver in the race category as a result. Somehow, there was no real sense of surprise that Esteban Gutierrez was one of the drivers to fall by the wayside during Q1. Almost three seconds slower than Hulkenberg in Q1, before Nico himself only missed out on Q3 by 0.068 seconds. Whatever about his pace on Saturday, Gutierrez was involved in one of the main incidents during the race. When one witnesses Gutierrez and Maldonado running two abreast on the run to Blanchimont with no sign of either backing off, you just know that it’s going to end in tears. And so it did for Maldonado, although Gutierrez was not at fault. Esteban showed absolutely no fear as he ran out wide through the sweeping left hander, left the track, and came back on on the inside line for the Bus Stop chicane. Fearless driving from the young Mexican, but ended up with a penalty for leaving the confines of the circuit. Esteban eventually finished only 12 seconds behind Nico, despite his penalty, while Hulkenberg finished behind his starting position, complaining of tyre wear and lack of pace afterwards. Gutierrez gets the nod on this occasion. Very similar pace throughout the whole weekend, both qualifying at the back, having been knocked out in Q1. Maldonado’s lap was 0.4 seconds faster than Valtteri’s, and the Venezuelan made a better start to the race, jumping up to 12th place by the time he pitted for the first time. Valtteri was more cautious at the start, only gaining two places on the track before the pit stops started, although he kept the gap to his team mate constant, never falling more than 15 seconds behind. Through the second phase of the race, the Finn started to close this gap, down to around 8 seconds, when Pastor was mugged by the Sauber of Gutierrez & the Force Indias. Failing to make it through the incident unscathed, the rest of Pastor’s race was merely rolling down the laps, finishing in 17th place. Paul Di Resta’s lack of humility must annoy the Force India team no end. Quick to lambast the team when things don’t go well, he made sure that the world knew he had made the call to stay out on intermediates at the start of Q3 and put in a laptime. A reasonable gamble, and one that almost paid off, with conditions worsening before they improved. Many of the top runners tried and failed to beat the Scot’s time on their first runs, but the track conditions improved in the final minutes. Sutil was close to Di Resta’s pace in Q1 & Q2, but only managed a mediocre 12th, while Di Resta managed 5th. At the start of the race, Paul bogged down and fell down to tenth, but recovered to seventh by the end of Lap 1. Adrian lost one position on the opening lap, but had climbed to tenth by the time his first stop came around. After both drivers had stopped twice, they found themselves on the same bit of racetrack as the battling Gutierrez & Maldonado, and while Sutil managed to bundle his way past the wrong-footed Williams, Paul was helpless when Pastor decided the quickest way into the pits was to drive through the Force India. Paul was out on the spot, while Adrian continued to climb through the field, including a great pass on Gutierrez at Eau Rouge while he gesticulated wildly at the Sauber driver. McLaren looked quite reasonable in Spa, even looking like a podium was on the cards at one point. 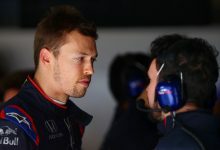 If Jenson had been committed to a two stop strategy from the start of the race, as opposed to trying to make a one stopper work, he may have finished around 4th or 5th, as opposed to the 6th he eventually came home with. Jenson clearly had the upper hand throughout the weekend, qualifying well ahead of Perez, running consistently faster throughout the race, and bringing the car home in the points. Perez started the race quite well, and was keeping Jenson within range during the opening laps, climbing as high as 8th to Jenson’s 6th, before attempting to pass Romain Grosjean. Sergio was unlucky to receive a somewhat harsh penalty for running Grosjean wide when the Frenchman could have and should have backed out, but wasn’t likely to have beaten Jenson home anyway, based on their relative pace for the rest of the race. Jenson Button has scored 47 out of 65 points for McLaren, 72% of their points. Sergio Perez has scored 18 out of 65 points for McLaren, 28% of their points. Sergio Perez has scored 38% of Jenson Button’s points total. Kimi’s record breaking run of points finishes came to an end at Spa, thanks to an errant visor tear-off, but it hadn’t been a particularly great race from the ‘King Of Spa’ up to that point. His race engineer Mark Slade thinks that even if all had gone well, Raikkonen may have only finished around 4th or 5th, so massive points were not lost. Kimi’s overtaking was immense, particularly his moves on Perez and Gutierrez after his first pitstop. 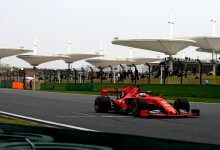 He had to get imaginative with his overtaking, as Kimi was consistently one of the slowest cars through the speed trap, which is rarely conducive to simplistic overtaking. Kimi should not have been in the position of ending up behind these cars though, one of which likely contributed the visor which wrecked his brakes. Having outqualified Romain at each race up until Silverstone, Raikkonen has now been outqualified 3 out of the last 4 races, and it’s not surprising to see Kimi end qualifying closer to the bottom of the top 10 than the top. Romain has lifted his game in terms of speed, but is still not able to compete consistently with Kimi on race day. Had Raikkonen not had his issues, he would have finished ahead of Romain again, having overtaken the Frenchman on the track in the early .Sp5rl!47rs. Kimi Raikkonen has scored 134 out of 187 points for Lotus, 72% of their points. Romain Grosjean has scored 53 out of 187 points for Lotus, 28% of their points. Romain Grosjean has scored 39.5% of Kimi Raikkonen’s points total. Rosberg was faster than Lewis in FP1, FP2, FP3, Q1 & Q2. 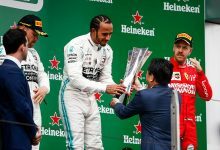 Then Lewis came along and managed to get in one extra lap in ever improving conditions at the death of Q3 to pop himself on pole, while Nico only managed 4th. 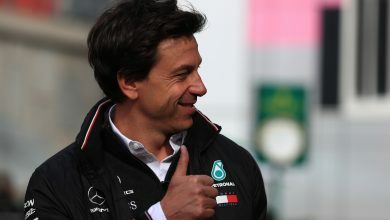 From that point, Nico never got a look in again, even though he was never more than 5-6 seconds behind Lewis (apart from through pitstop phases). In fact, Nico maintained a resolute 2 second gap the whole way to the end from Lap 27. Very difficult for two drivers pushing hard to maintain such a uniform gap for so long, unless one of them was told to maintain that gap…. Lewis Hamilton has scored 139 out of 235 points for Mercedes, 59% of their points. Nico Rosberg has scored 96 out of 235 points for Mercedes, 41% of their points. Nico Rosberg has scored 69% of the points total of Lewis Hamilton. The Ferraris looked ominously quick during the short periods of dry running that the teams got over Friday & Saturday, but it all went a little awry during Q3, when neither Ferrari could make any inroads into moving further up the top ten, Fernando due to a spin on his qualifying lap, and Felipe due to him not being able to produce the goods at that given time. Fernando’s first lap was excellent, jumping up to 5th thanks to a slow starting Di Resta and two squabbling Lotuses, and the incisive moves that the Spaniard made on the opening laps past Button & Rosberg were clinically executed. Fernando will have been surprised to have essentially been handed 2nd place by a Lewis Hamilton who was feeling adventurous in his defence techniques and failed to realise just how fast the Ferrari was in a straight line, but it was likely that he would have been past the Merc on that lap even without Hamilton’s co-operation. Fernando said afterwards he didn’t think the win was possible, so he really got about as much as he could have hoped for. Felipe got caught up with the Lotuses at La Source and lost places at the start, but slowly chipped his way back through the field, despite a KERS issue. He finished 37 seconds behind Fernando by race end..unlikely to be the kind of performance that may save his career. Fernando Alonso has scored 151 points out of 218 for Ferrari, 69% of their points. Felipe Massa has scored 67 points out of 218 for Ferrari, 31% of their points. Felipe Massa has scored 44% of the points total of Fernando Alonso. When Mark Webber hinted that his getaway from 3rd place might not go particularly well due to a slightly dodgy clutch, he probably didn’t think that it would go quite as well as it did. While he did lose places, he’s had far worse starts when his clutch is working well. Down to sixth by the end of Lap 1, he found it very difficult to pass, admitting after the race that his setup was for running in clear air, not passing. This was most evident when he caught up very rapidly with the Mercs towards race end, but was unable to do anything about them, sitting behind Rosberg to take 5th place. Sebastian had gone for a lower downforce setup, which proved to work very well at the start. Using very little KERS off the line, Vettel released a huge surge of it on the run down the hill towards Eau Rouge, was quicker through the corner itself, and then used his superior straight line speed to ease past Hamilton. Once he was there, you never got the feeling anyone could challenge. And noone did. Sebastian Vettel has scored 197 points out of 312 for Red Bull, 63% of their points total. Mark Webber has scored 115 points out of 312 for Red Bull, 37% of their points total.